Call Adams Tree Service today for a Free Assessment and Plan outlining an approach to trim and prune your trees to ensure tree health, hazard reduction, while at the same time, increasing the aesthetic appeal of your trees and enhancing your view. Our professionals will work with you to develop a trimming and shaping plan for your trees based on the species, property topography and desired effect you want to achieve. 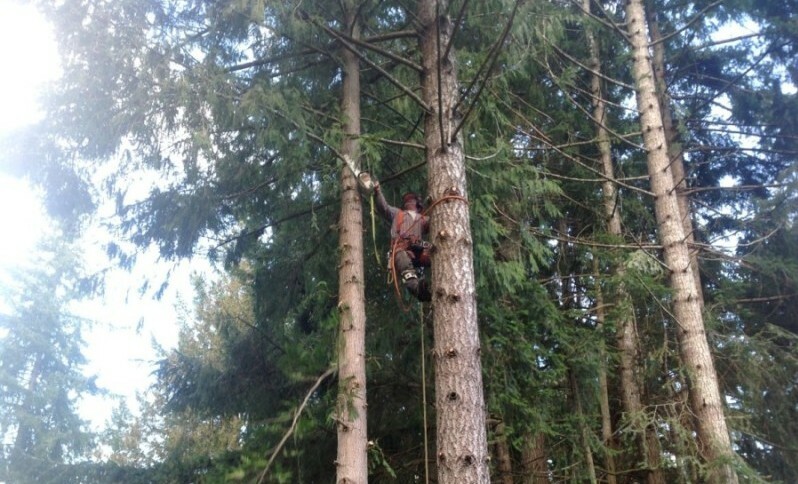 In most cases we recommend Spiral Trimming to our customers, rather than simply ‘topping’ trees to achieve optimum results. As its name implies, Spiral Trimming entails the removal of branches in circular fashion for the length of the tree, resulting in visually-appealing foliage. Of course Spiral Trimming greatly enhances the aesthetic appeal of your trees, but it is also significantly less invasive than a procedure where trees are topped. Trees which have been topped tend to be more susceptible to disease and subsequent extreme weather damage. Moreover, these trees tend to re-direct new growth horizontally, resulting in heavy branch masses which in time exacerbate your original problem of dense, unhealthy trees which impede your view! Please call Adams Tree Service location nearest you today to book an appointment for our professionals to review and develop a Plan to address your specific requirements.